The trek was incredible. It passed through the most magnificent scenery I have ever seen. 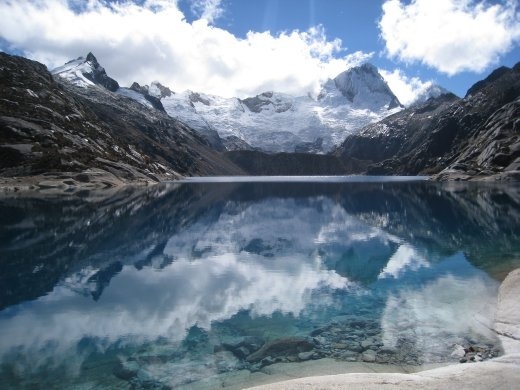 This was taken at Laguna Cullicocha with Nevado Santa Cruz (6241m) behind.